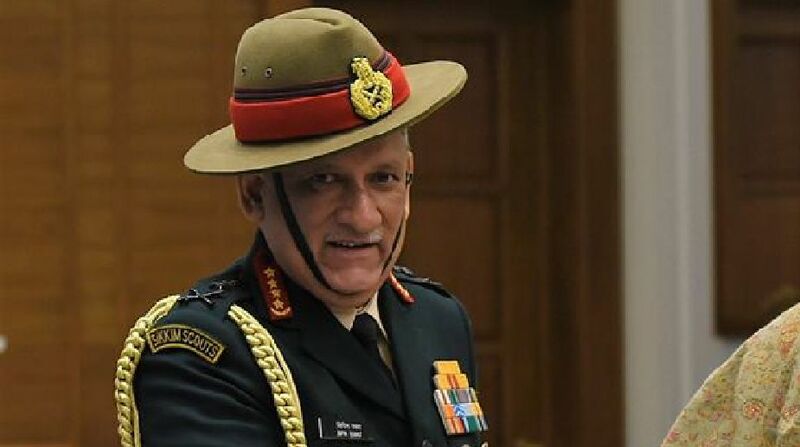 The armed forces should be prepared for conventional warfare along the country's borders and advanced technology for military must be made available on a fast track mode, Army Chief General Bipin Rawat said on Thursday. He said that adequate focus must be given to ensure that "trial procedure" for procurement of military systems do not linger on for too long. Without naming any country, Rawat said India will continue to face conventional or non-traditional forms of warfare and the armed forces will have to be ready to deal with any such challenge. "The armed forces will have to remain prepared for conventional warfare along our borders," the army chief said while addressing a two-day conference on military communication. Addressing the gathering, Minister of State for Defence Subhash Bhamre said the government was committed to fulfil requirements of the armed forces and that information technology can act as a force multiplier. Rawat also stressed on the need to adopt the latest technologies for the armed forces without any delay so that it does not become obsolete after induction. We will have to identify the correct type of technology for the armed forces and ensure that our trial procedure do not linger on for long, he said. Communication technology for the armed forces must be simple, light-weight and easy to maintain as they will be required for wars on the borders, he said adding the technology must work in extreme weather conditions. Referring to social media, the army chief said the "adversaries" appeared to be taking advantage of it. He also talked about the need for having proper encryption mechanism, both for voice and data, for communication network for the armed forces. Speaking on the occasion, CII's Chandrajit Banerjee pitched for early notification of the strategic partnership for defence production between the government and the defence industry.